Welcome to the first of our new blog series, Meet your Catering People! 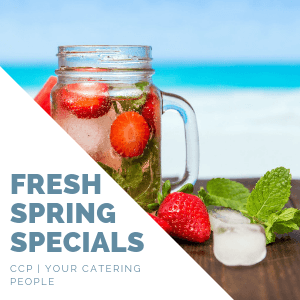 We’re really excited to launch this monthly blog featuring the people who make CCP | Your Catering People the wonderful business it is. The reason for this series is to take you behind the scenes here at CCP and let you get to really know Your Catering People. Therefore you’ll be reading about people who lovingly prepare your fresh, healthy and affordable lunch items in the refectory. Likewise, our Chefs who plan and execute your Alternate Drop Dinner to delicious perfection. Similarly, the Baristas who make your favourite espresso coffee each and every day. Here at CCP, we know it truly takes teamwork to make the dream work. Therefore we’re thrilled to share our team’s stories with you! In our first of the Meet Your Catering People series, we’re introducing you to Hannah Simpson; mother, apprentice chef & marathon runner (!). 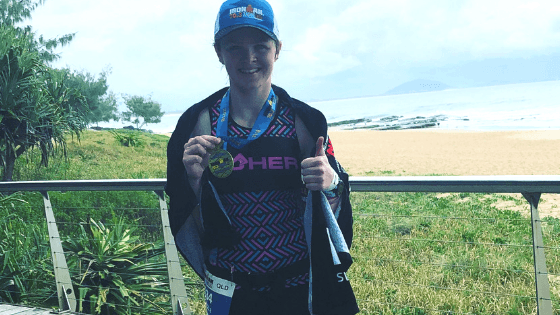 Hannah recently competed in the Ironman 70.3 at the Sunshine Coast where she ran a total of 21km in 2 hours and 17 minutes. The total course time was 5 hours and 4 minutes. As a result, placed her team 7th out of 30. We think this is just awesome and congratulate Hannah and her team on this most noteworthy and fantastic outcome. She trained hard and due to her dedication, consequently smashed it on the course. 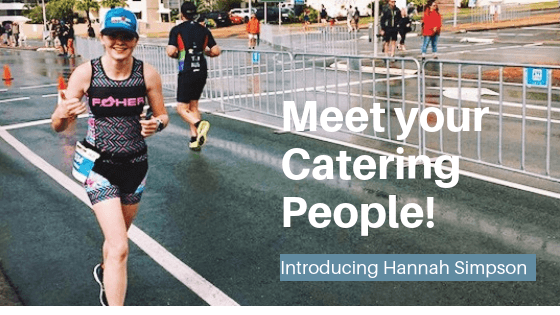 Outside of running Marathons you will find Hannah completing her Commercial Cookery Apprenticeship here at CCP | Your Catering People. Hannah joined the CCP team half-way through 2018. She recommenced her apprenticeship after taking a break for the reason of looking after her beautiful daughter. Hannah is hard-working and reliable and to her, cooking is even more than a profession, it’s her passion! Li, Pacey, Hannah & Suman a few of CCP’s super star kitchen team. So awesome! 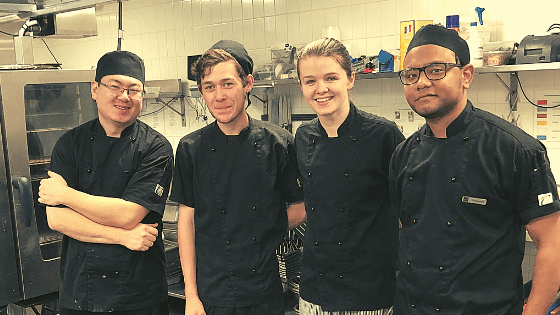 We love having Hannah on board and supporting her through her training as an Apprentice Chef. We’re certainly excited to be part of Hannah commencing her catering and hospitality journey. Want to order catering from CCP get in contact now! Interested in a career with CCP? Email us! Interested to know more about CCP | Your Catering People, read About Us.